It was a looooooong semester!! Staff Development program at Mt. St. Mary’s Hospital in Lewiston, NY. ### Mt. 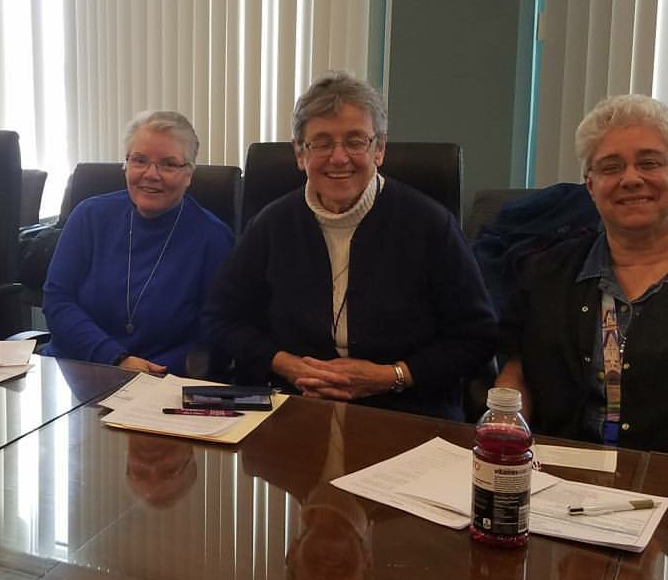 St. Mary’s is part of the Western New York Catholic Health System, so there were Sisters in attendance. ### I’m well aware that Religious work at the hospital doing a variety of jobs. I *should have known* that there would be Religious in attendance … and yet … I didn’t even consider it. ***Sigh*** At various times during my presentation, I repeat off color words that were spoken to me Awkward But the Sisters took it all in stride, as did the entirety of the staff 🙂 I was happy to have everyone from administrators to nurses (still in their surgical scrubs!) in attendance, as well as reps from Neighborhood Legal Services in Buffalo and UB School of Social Work. Working with the Niagara County Sheriff’s Victims Assistance Unit inside the Niagara County jail, women’s facility. Half peer mentoring, half book club, the program involves an advocate and I going in and chatting with the women about tackling life after surviving domestic violence. I had a podium for this one 🙂 Woohoo!! I love it when I’m not just thrown into a room with a bunch of people, kinda just hangin’ out up there … notes in hand Seriously, though, it was a small but important event and I was honored to be asked to speak. Making the paper (or two) is always interesting, because you can never be sure how the photos will turn out. I’ve been doing this long enough now that I feel comfortable speaking up if I’m unsure or uncomfortable with how a shot is being composed. When I asked veteran photographer Jim Neiss if he *really* thought that someone who wrote a book about being a victim should be standing in what looks like a power position while everyone else is sitting (including the Sheriff… which made me even MORE uncomfortable), he looked at me with a totally straight face and said, “I get the feeling you’re no shrinking flower… ” and continued to compose the shot. Well! *blush* Of course he was spot on, and the picture looked great 🙂 Thanks, Jim! On Saturday, April 7, I spoke at the “Dress for What’s Next” event at the University at Buffalo School of Law. This free, all day event for survivors of domestic violence was put on by an all-volunteer team of UB Law School students. Daycare and lunch were provided for women and their children and there was even a therapy dog on site 🖤 Meditation and self-defense classes were offered, support and referral information was provided and there was even an opportunity for the ladies to do a little “gently used” clothes shopping👗👠👜 Impressive from beginning to end and I was absolutely honored to be asked to be a part of it! Clothes Closet. Women could “shop” for business ans casual clothes. This is an incredibly important opportunity, as there are times that women lee an unsafe home with only the clothes on their backs. It’s also a fantastic way for them to access nearly new business attire. They will look great and feel confident when they venture out into the job market! Beautifully decorated for the ladies luncheon! Explaining the years of nonsense and difficulties I went through AFTER my divorce. Talking about the GIANT microwave I was gifted from a dear friend when I rented my first apartment after my divorce. 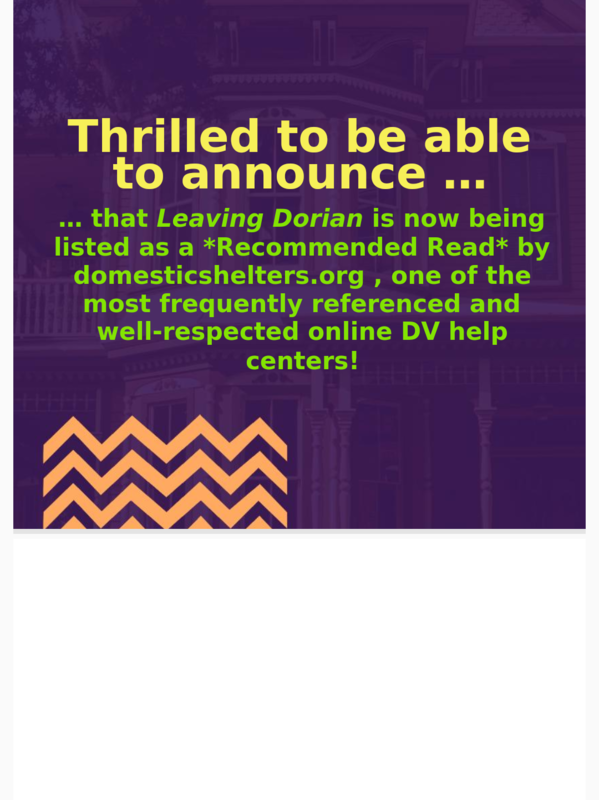 “Leaving Dorian” is used as required text by the Niagara County Law Enforcement Academy at Niagara University. Just like with any college level course, once the students read the book, I go in and spend a couple of hours answering their questions and fielding comments. I was happy to be invited to stay and watch the recruits of the 68th Police Academy run through some DV role play. Yes, it was “pretend”, but it was still unnerving to watch. The ladies of the Niagara County Sheriff’s Victim’s Assistance Unit were fantastic in acting out real life scenarios that the recruits will definitely be facing once they’re sworn and out in the field. There were points that I could feel myself wanting to cry. Silly, right? Nope, not when you’re sitting there and you realize what these recruits are actually signing up for. After watching those two hours of role play, I have an entirely different perspective on the unique position that officers are in every day. I will never forget this group. I submitted it as an op-ed but ended up with a feature spot. Nice! 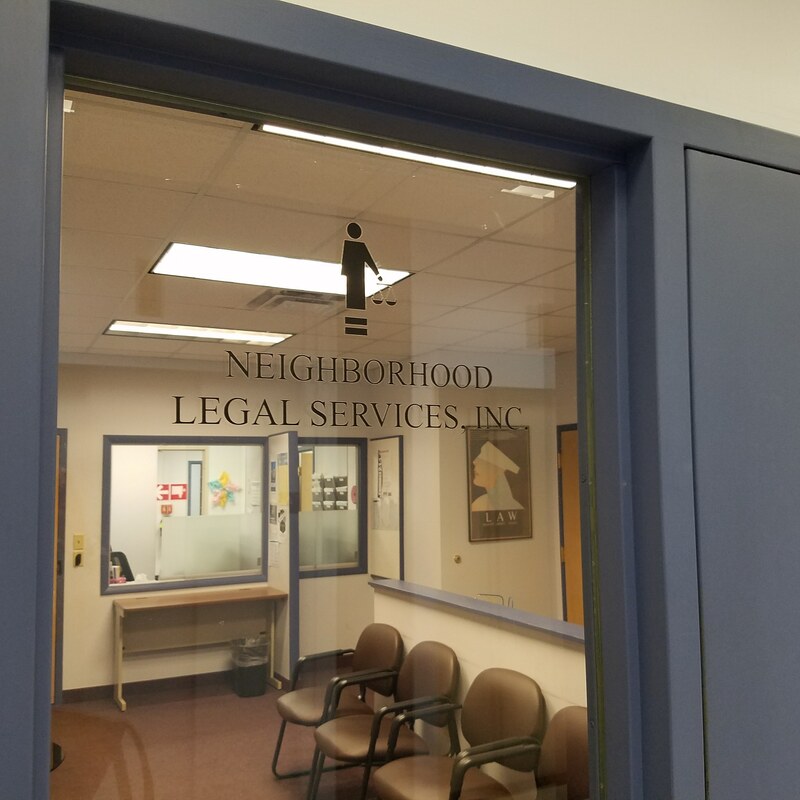 Spent a lengthy lunch hour talking DV and related topics with attorneys and advocates. These ladies (and one gentleman) had great questions and were a lot of fun to work with. 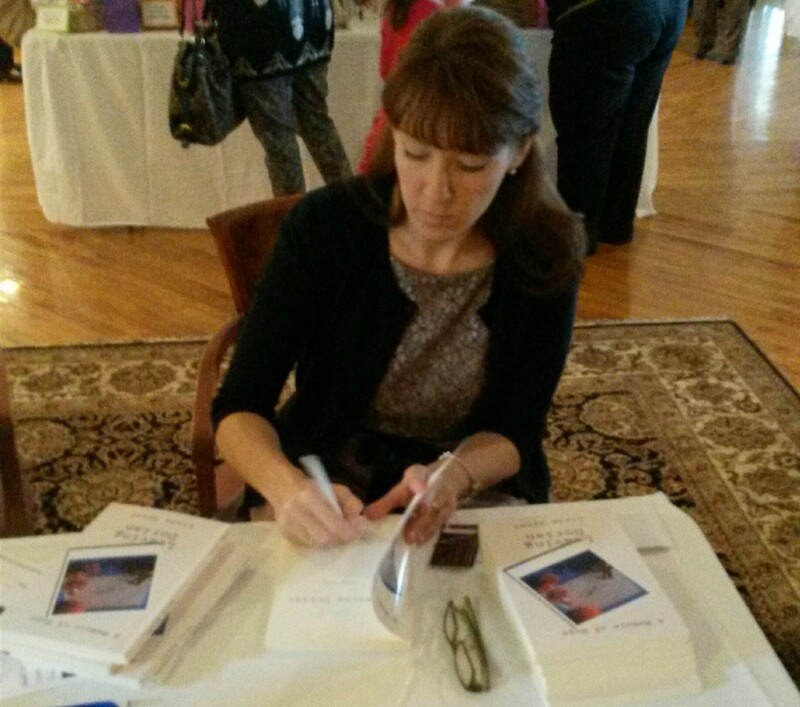 April is my anniversary month; eighteen years ago in April, I escaped my abusive husband. 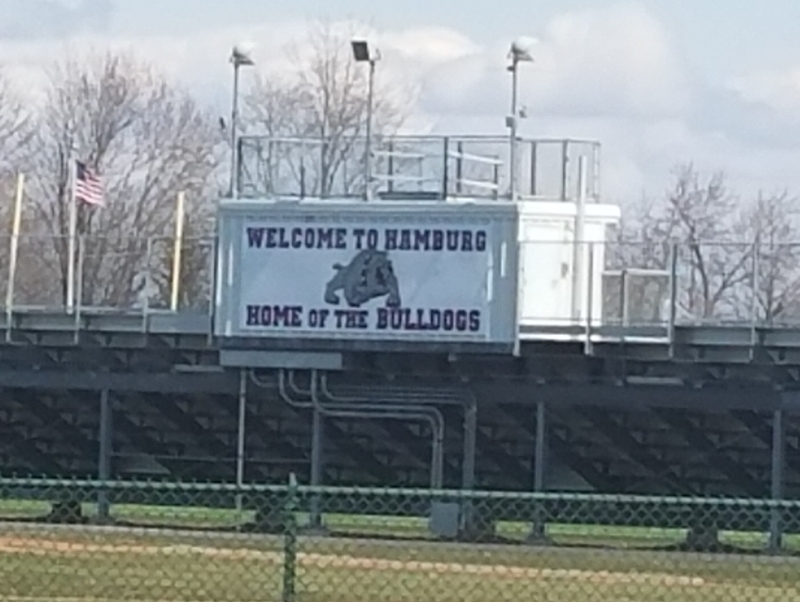 Spending the day in Hamburg (the town that I ran away to) delivering Dating Abuse Awareness classes to 9/10 grade and college credit Health classes at Hamburg High School was amazing. A full circle moment for me, to be sure!